I can't believe there is now a week and a half to go until the big day........... panic is starting to set in and every year at this point I start to question wether I've bought enough for everyone, and then go out and buy more!!!! 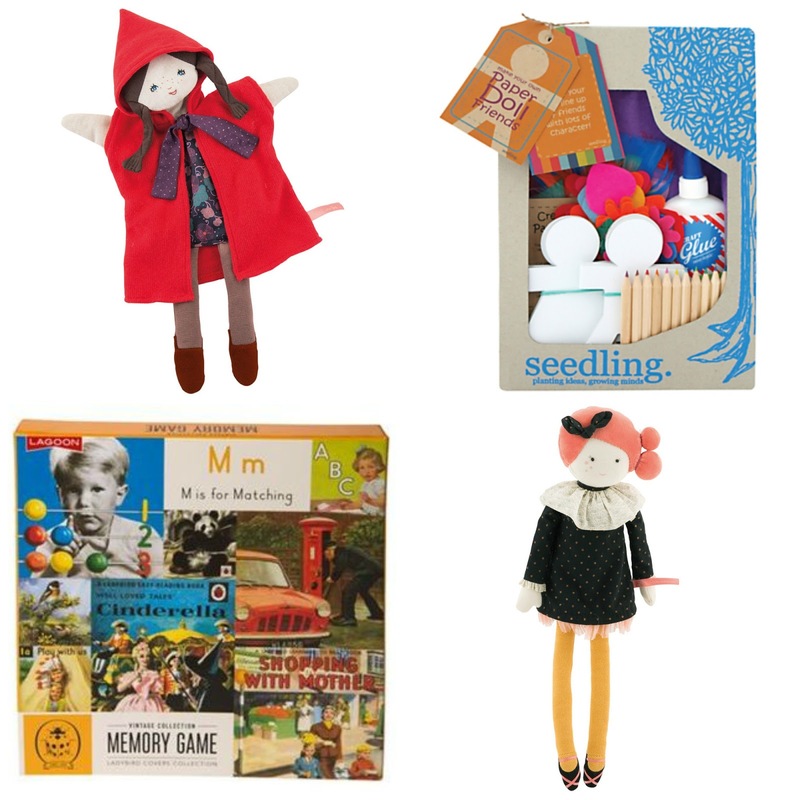 So if you're feeling something similar then here are a few pointers for stylish gifts for older girls. 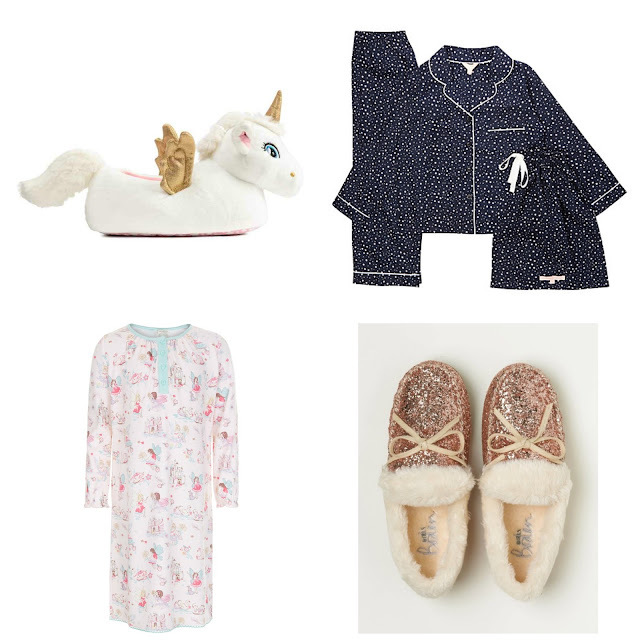 I hope you like my selection, I know my girls would be pleased with everything on this list....... so here's hoping they've been good and get a visit from Santa!! 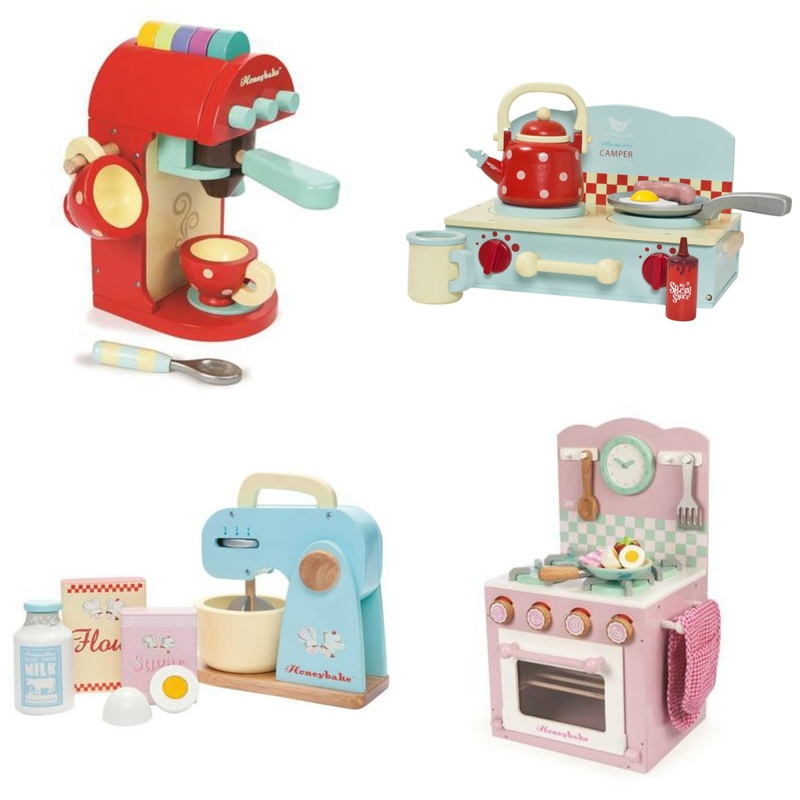 I can't believe its actually December tomorrow........ so thoughts are definitely turning to Christmas presents. 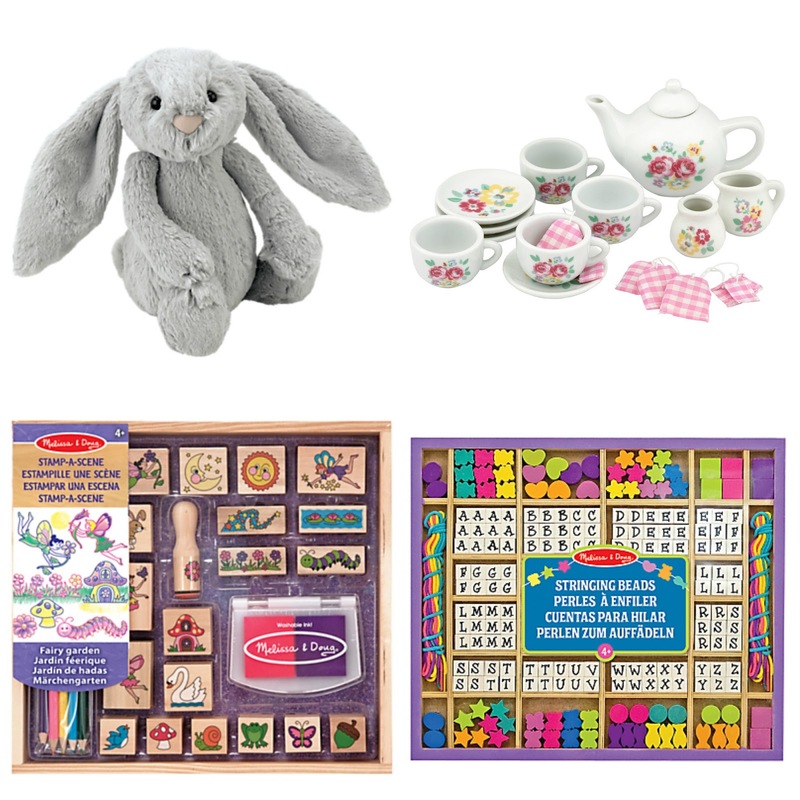 There are so many gorgeous little girls things around that you are spoilt for choice really, so if you would like a little style inspiration rather than trawling the high street, then here is a selection of some of my favourites which would make beautiful gifts for your own children, family or friends. My gift guide for older girls will be up shortly, along with a boy's gift guide so please keep checking back. So it's Black Friday and the madness has arrived....... It can be a bit overwhelming with all the hype and your inbox bursting with discount emails, but there are some great savings around so its a great time to nab that item you've been eyeing up all season, invest in something special, or simply do some Christmas shopping. 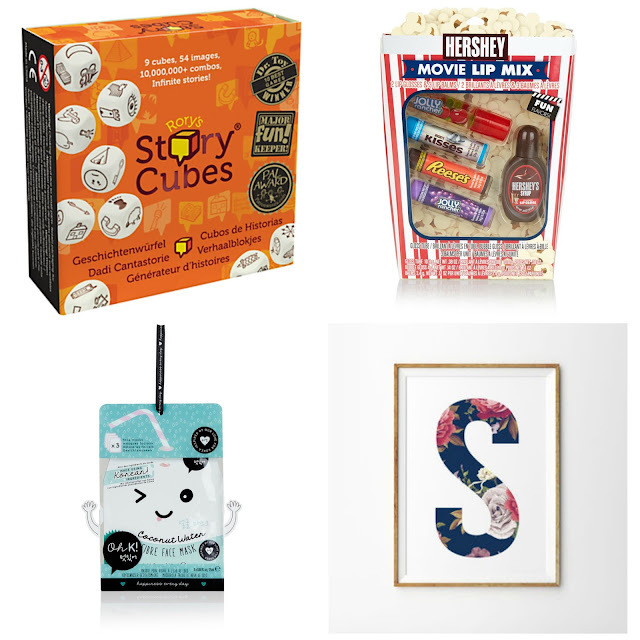 I've rounded up all the discount codes from my favourite stores so you can simply shop! 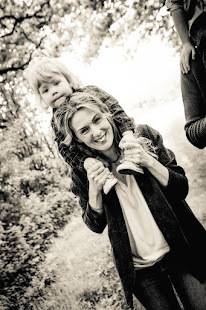 I've not been blogging regularly over the last few months for one reason and another, I had a break from blogging and social media over the summer to be with the kids and once they'd all gone back to school I felt like I'd lost my blogging mojo, I know this can happen but I felt like I'd lost my inspiration and love for blogging. 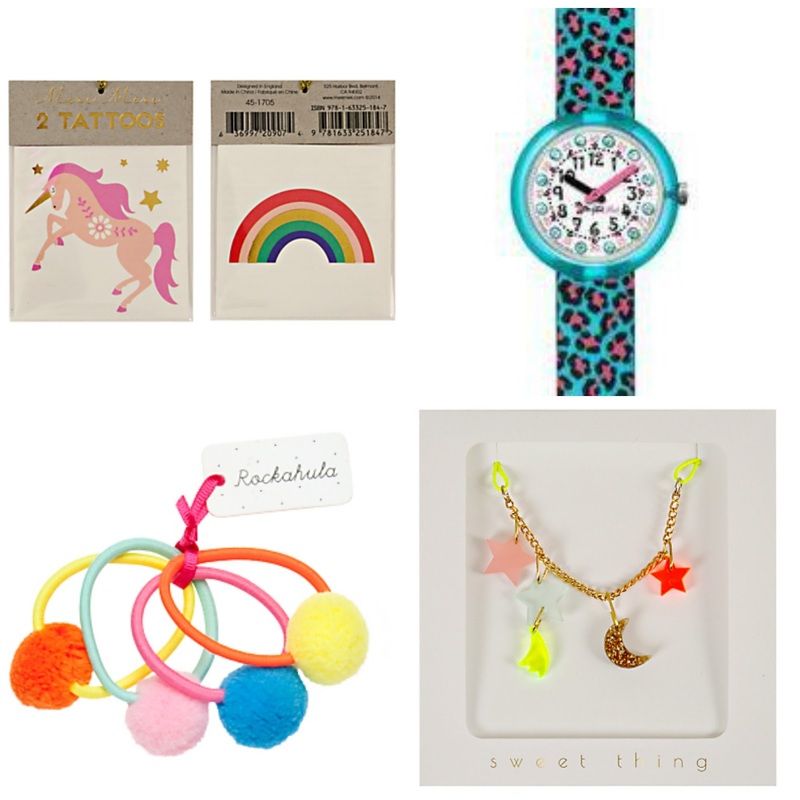 Anyway, a break can do you good, making you feel refreshed and more focussed, so I'm back to bring you all my stylish finds, if there is anything you would like me to add to the blog or to focus on more frequently then please do let me know, as you are key to A Stylish Something! 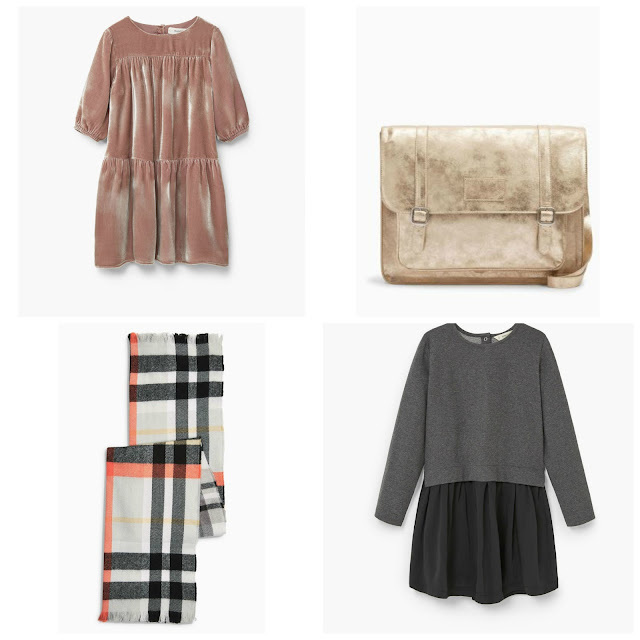 I adore this season's trends and key looks and if there was ever anything to bring me back to blogging it's the onset of beautiful new season clothing, I could spend a FORTUNE in the shops at the moment! I'm going to start with an Autumn coat wishlist, there are some beauties around that I would LOVE to own, but many are above the £100 mark, a coat is a definite investment item and something that you should get a lot of wear out over the coming months, but for many of us we can't be spending a fortune on one item, I want to show that there are some fabulous, affordable Winter coats on the high street, so hopefully you will find some inspiration in my Coat Edit below. 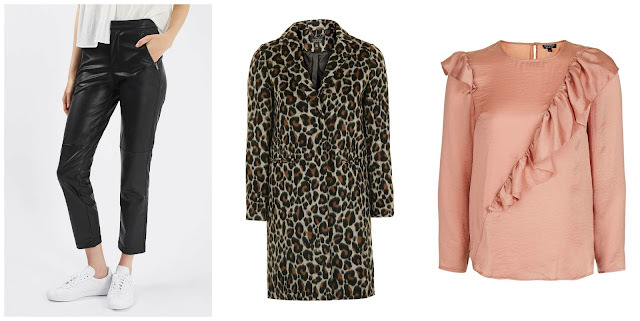 Warm and cosy but with that 'just thrown on' look, the shearling jacket is perfect for Autumn, wear over a Winter maxi dress or with skinny jeans and ankle boots. A camel coat is so timeless and chic, and something that every single winter I always deliberate about buying......dressed up or down it goes with everything! 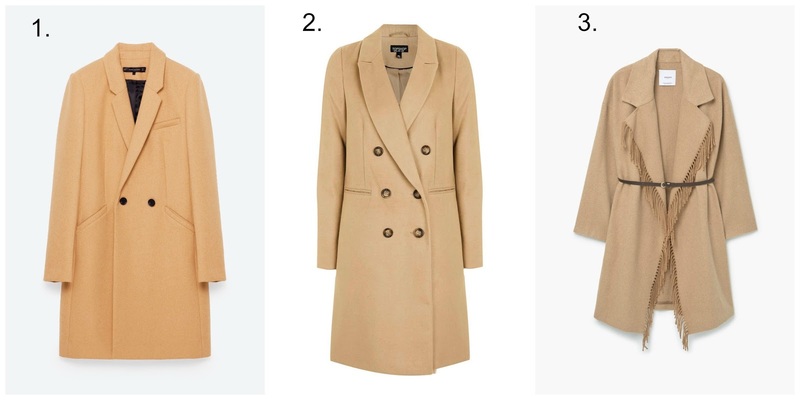 Again another wardrobe staple that will hopefully last, this M & S wool coat is gorgeous and so many stylish ladies on Instagram are wearing this. 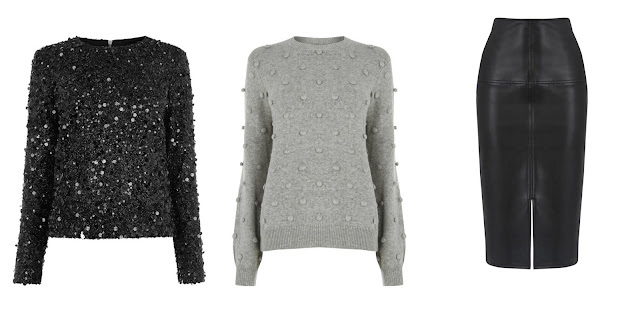 Dress it down with jeans, trainers and a big scarf for a cool, casual look. 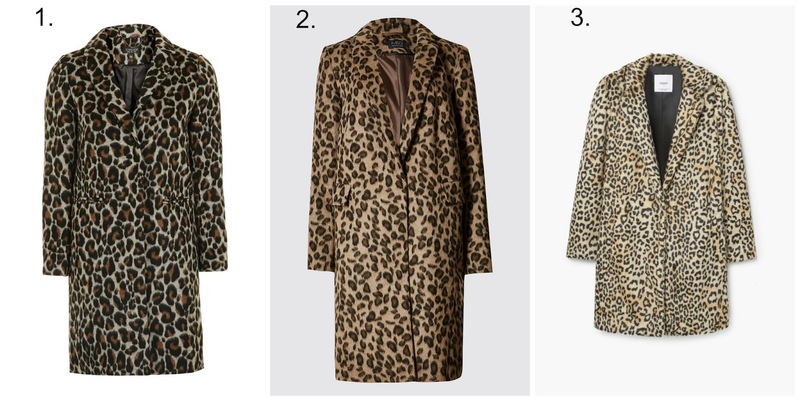 My favourite print is all over the high street again thankfully, I really wish I'd bought the Mango leopard coat last Winter so I'm so pleased its here again, trying to lure me into parting with my cash! 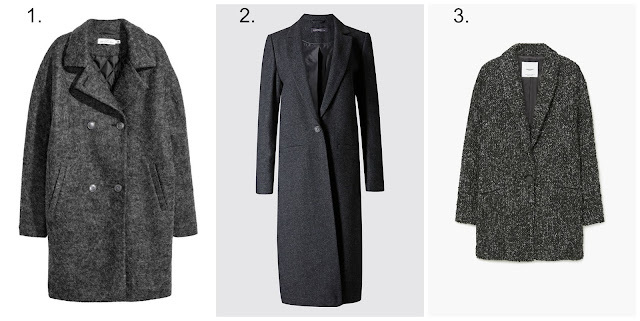 Don't be scared by the bold print, keep the rest of your outfit neutral and let the coat be the standout piece. 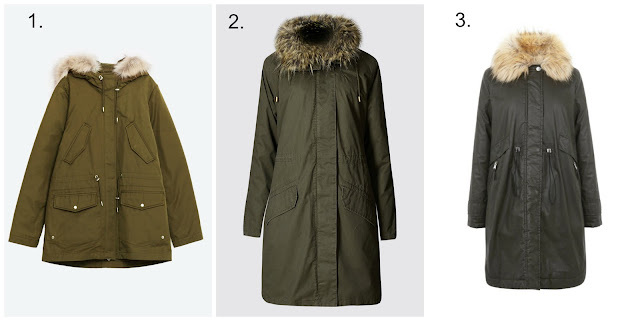 My go-to schoolrun coat, it needs to be long and warm and with a hood, I love all these classic khaki parkas but also the black or khaki & blue Hush Eskimo Parka too (although this is more pricey). I hope you like my selection. We have just come back from spending a wonderful two weeks in Brittany, France and as a die-hard fan of the Breton top I was literally in Breton heaven! 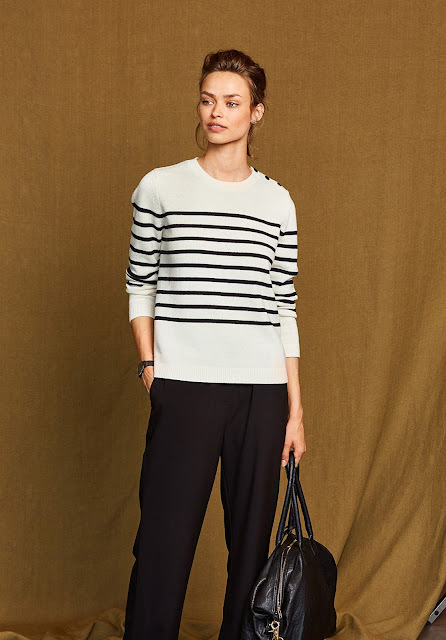 The Breton top was originally issued for the French navy in Brittany in 1858, hence the masses of Breton stripes in Brittany's shops, but following Coco Chanel's nautical collection in 1917 the striped top has become a symbol of French style for men and women, and a wardrobe staple the world over. I have a few Breton tops, navy with white stripes, cream with navy, red with white stripes..... 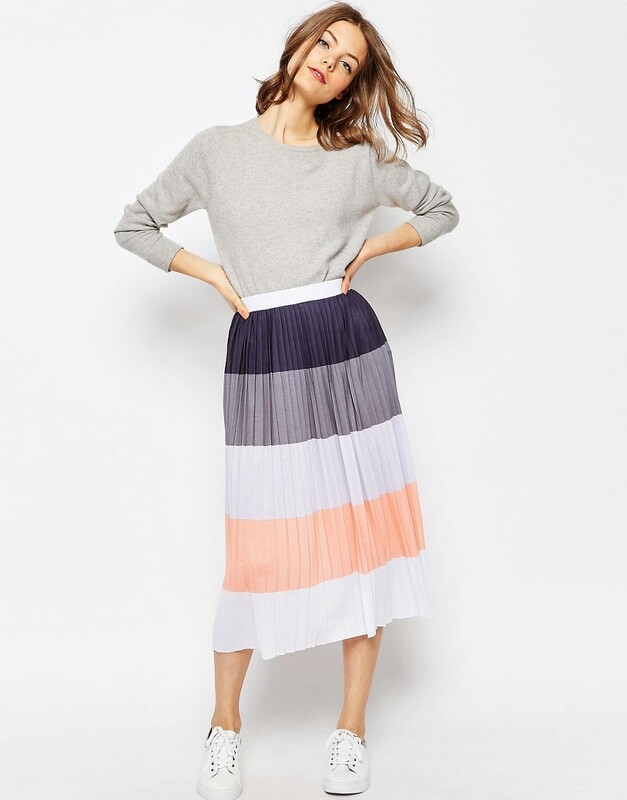 It is my absolute fail-safe outfit choice, worn with skinny jeans or under dungarees, with cut off denims.......A striped top is the most versatile top in your wardrobe and will work super hard for you. 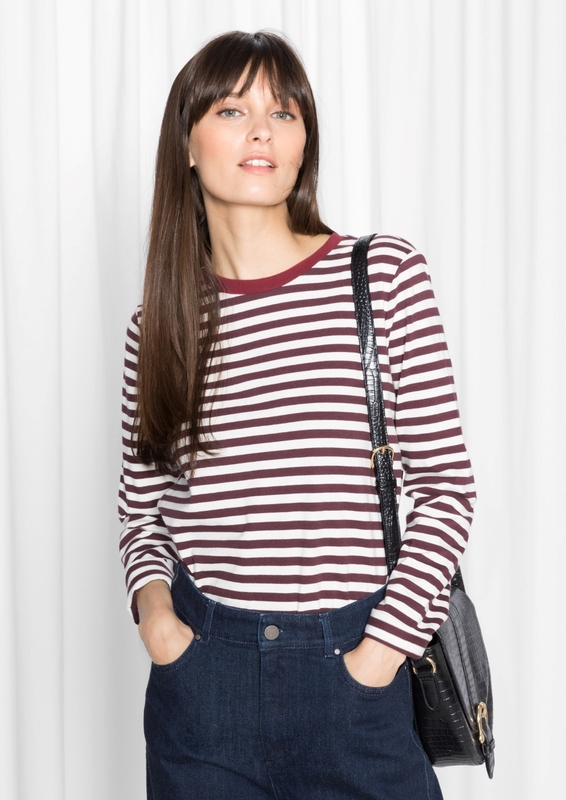 For this reason I always feel there is room in my wardrobe for another Breton top, and if you haven't got a striped top hanging in your wardrobe then you definitely need one, or several! 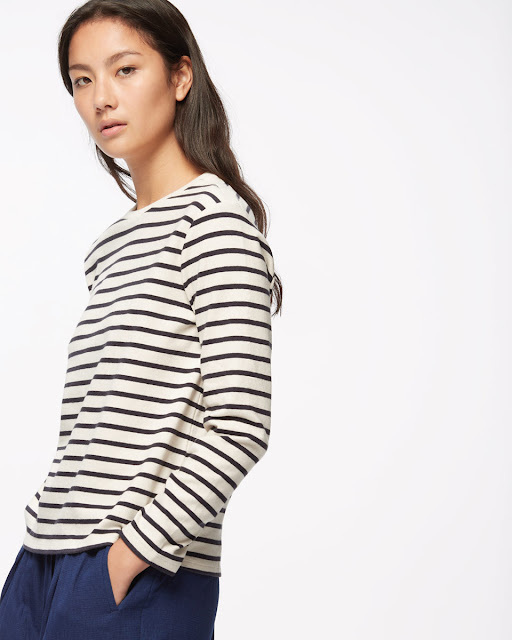 Such a classic and timeless style from Petit Bateau. 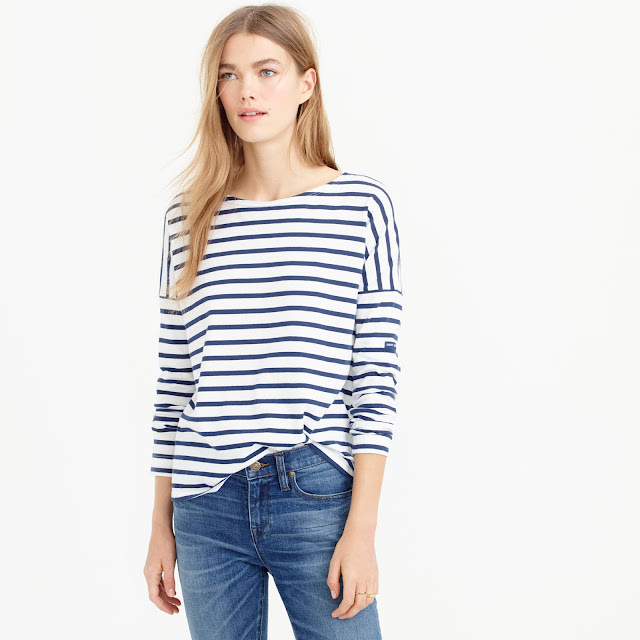 Boden do such good Breton tops, I like all the colour ways but navy is always a winner! There is discounts on Boden all week - 20% until Thursday, then 15% Friday/ Saturday, 10% Sunday. 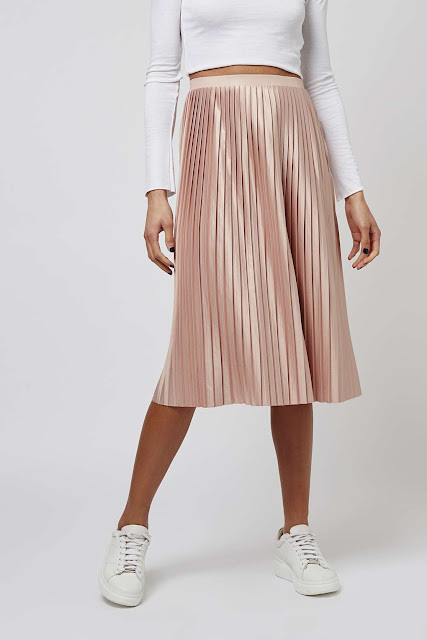 Now I don't own a wool Breton and think this would be great for winter, La Redoute currently have 25% off new collections with the code NEW - though I'm not sure how long this offer is running. 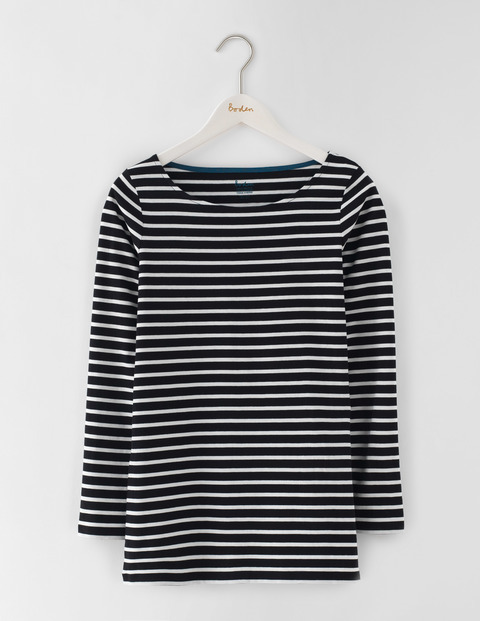 You just knew that La Redoute would do great Breton tops at great prices, even better with the 25% discount code! 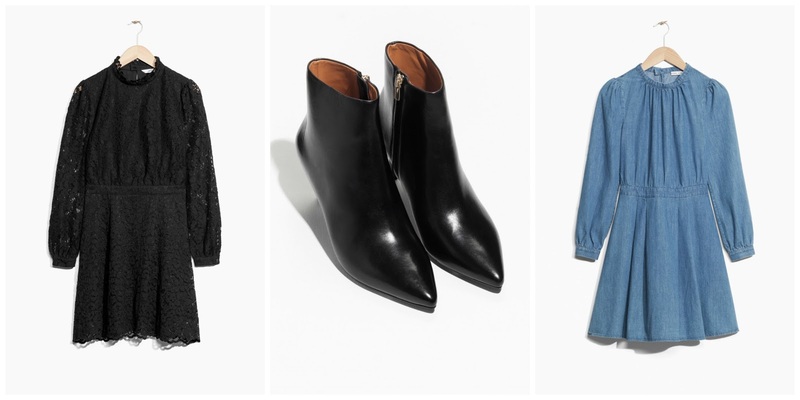 I LOVE this J Crew version. Saint James are iconic, and this modern twist on the classic striped top is so effortlessly chic. 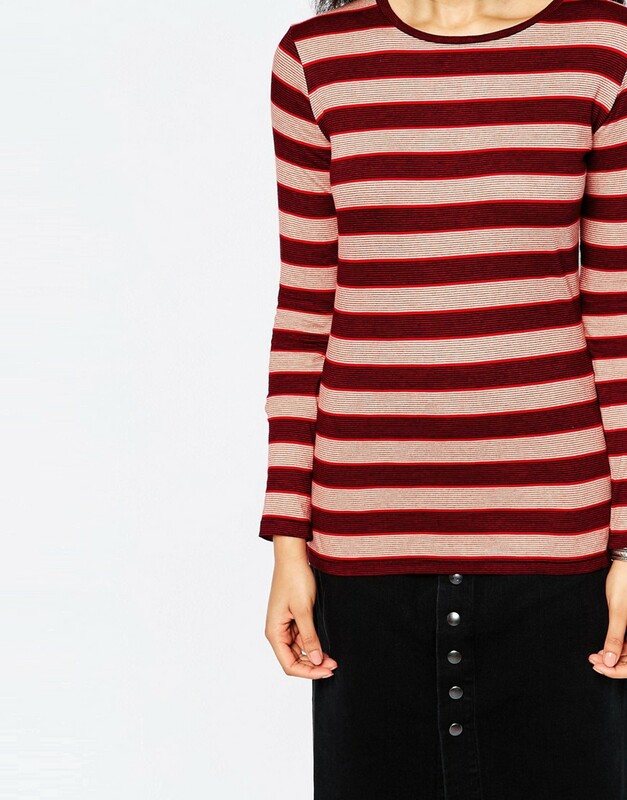 This MiH breton top is a bargain! 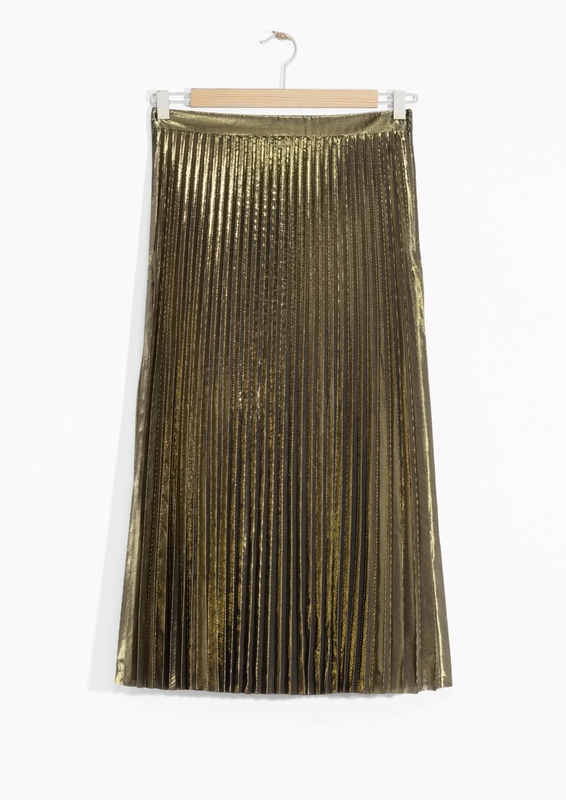 Love the colour, the neckline....... it is also available in blue stripes which is also nice. 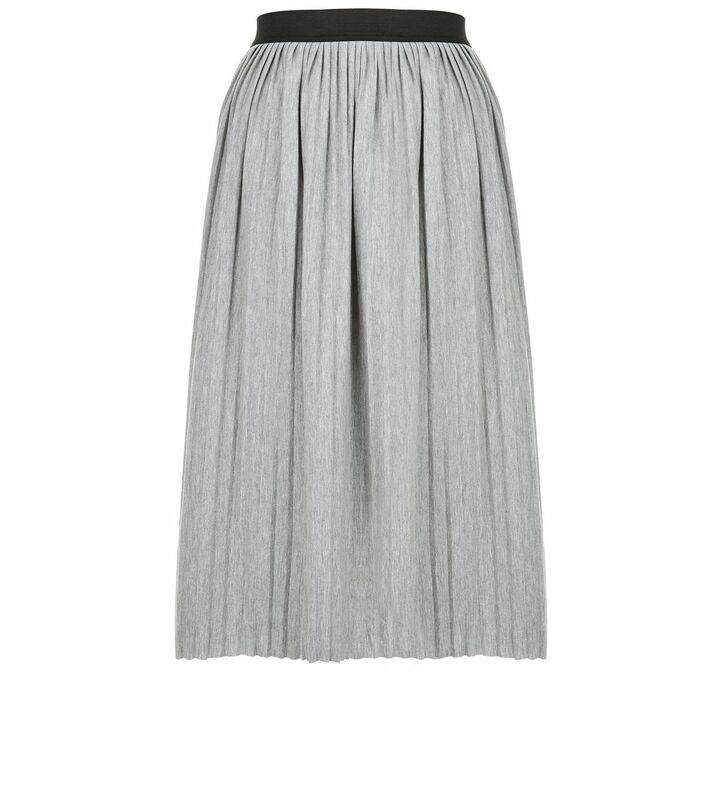 Nice slouchy, relaxed shape from Jigsaw. I hope you like my selection, I would like to add all these to my wardrobe to be honest! Are you a Breton fan? I'd love to hear your thoughts and comments. 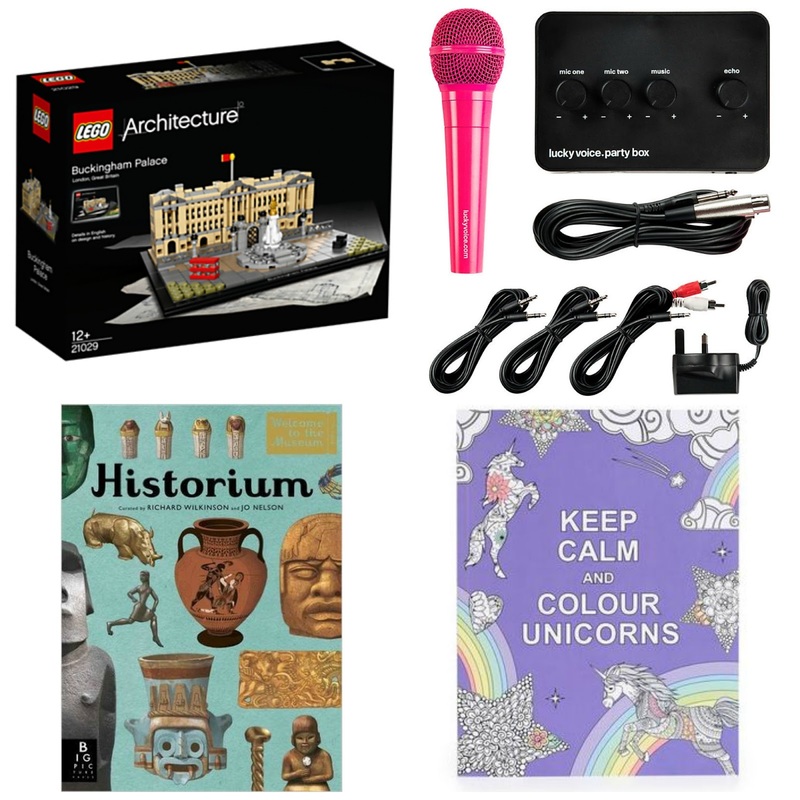 I haven't blogged for a while, this time of year is so hectic with birthdays, holidays, end of term school stuff that I just haven't had chance to sit down and even open up my laptop! Anyway I'm back with a post dedicated to one of my favourite looks at the moment. My current fashion obsession is with pleated midi skirts, now I know these are not a new trend and have been around for a few years now, but there are some really great ones on the high street at the moment and they will definitely see you through to next season. 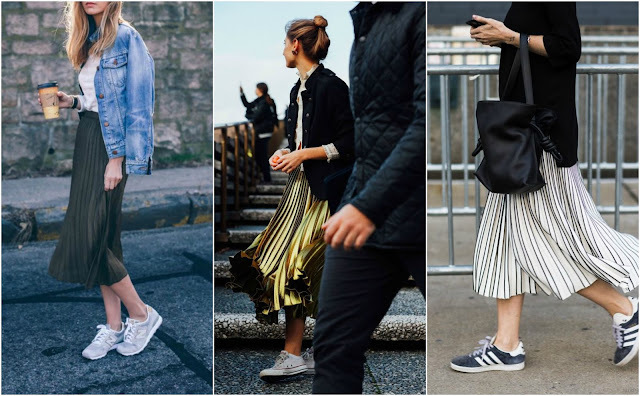 I just love this look, worn dressed down with trainers and a sweatshirt or tshirt, they are a great alternative to my usual mum uniform of jeans, but are still so easy to wear. 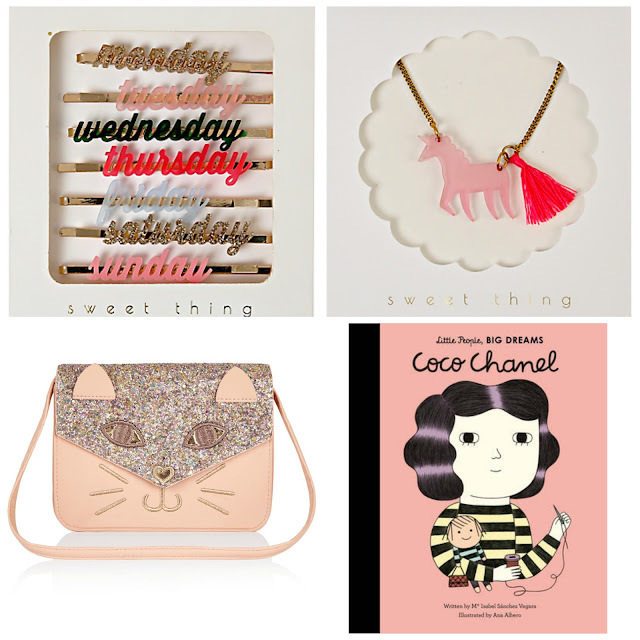 Here is a little Pinterest inspiration for you if you're not already convinced about this look. 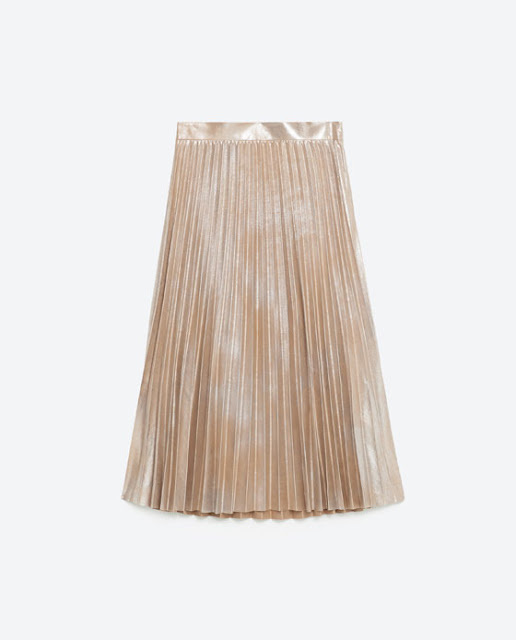 I have been lusting after a metallic midi skirt for literally years so the Zara metallic skirt above has been sat in my online basket for over a week whilst I try and justify to myself buying it when we are supposed to be saving for holidays etc. I know I'm going to be devastated if I go online and its sold out! 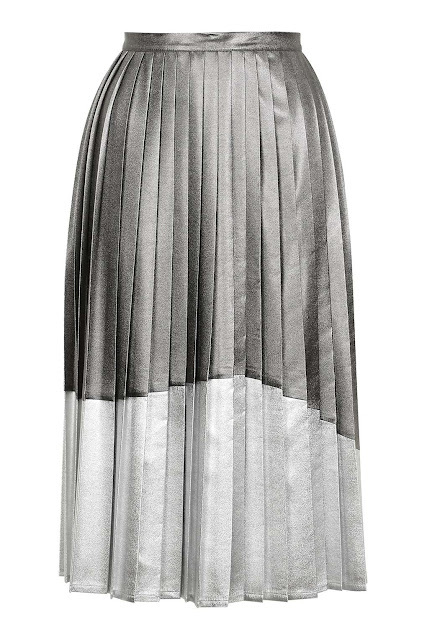 Are you a fan of this look? I'd love to hear your thoughts and comments. 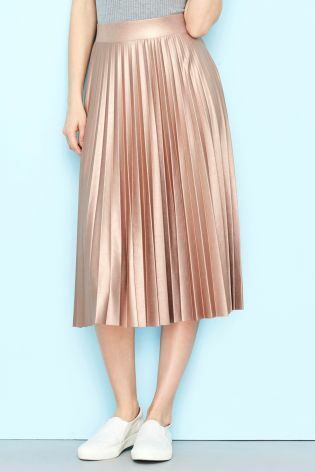 Wedding outfit is now a Zara bargain! Last weekend I was a guest at a beautiful wedding and I wore this Zara fringed dress which I loved, it also got a lot of love on Instagram and at £39.99 I thought it was a pretty good price for a wedding guest outfit. However I went in Zara this morning and this gorgeous dress has been reduced to £15.99!!!!! Now not one to be bitter that I've actually paid full price, I had to share it with you as this is SUCH a bargain! 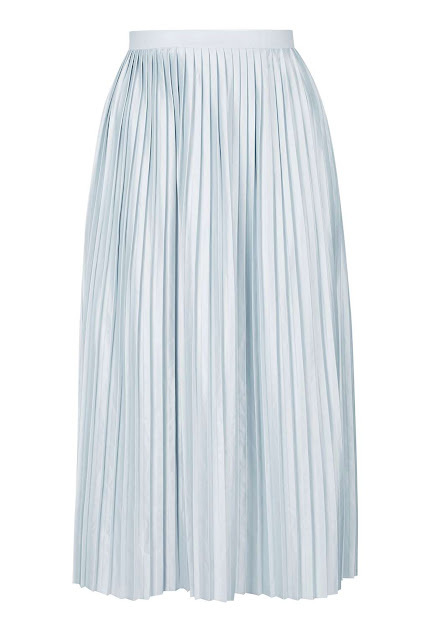 This dress is a great dress for an occasion, the colour is pretty and not too summery so that it will carry through to autumn, and it is so comfortable to wear, even after eating a huge meal! And then look how it moves once you've had too many prosecco's!!! !